Classic Park is a dynamic automobile museum. The museum lives! Almost every day the collection changes. The museum’s collection has a broad base and partially consists of privately owned museological vehicles, each exhibited for a short period only. Approximately 40% of the collection is owned by Classic Park, the rest is provided by private collectors or is offered for sale in consignment. By purchasing and selling veteran cars, vintage cars, pre-war cars, post-war cars, old timers and young timers, the collection hosts a variety of cars. 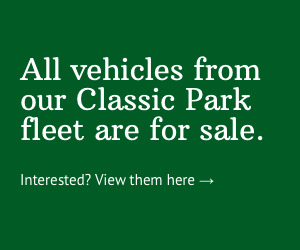 Modern sports cars and exclusive cars like Ferrari, Rolls-Royce and Porsche in combination with the other cars, make Classic Park a true mecca for the enthusiast. The combination of temporary exhibitions and the constant change of the collection by purchasing and selling, provides the Classic Park visitor with many surprises again and again. Not just the inside has a lot to show, but a lot happens outside as well. Many classic car tours have a stopover at Classic Park for lunch or dinner, providing colour and atmosphere for participants and visitors. 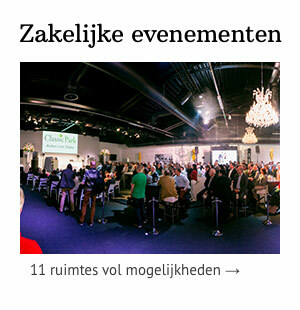 The events organized by Classic Park Festivals or third parties, like PUUR Park Porsche, Young Timer Event and Team Mustang Center Nederland provide Classic Park with more dynamic. Privately owned museum pieces come and go and park in front of the sun faced terraces! The events (see agenda) at Classic Park dedicated to a particular car brand, era or theme are very special. Various activities are offered, such as a racing simulator, a photograph of you and your car by a professional photographer or a standing Concours d' Elegance. Memorabilia, exhibitors and traders complete the atmosphere. Classic Park is a real experience center, constantly stimulating your senses. Besides automobiles, art is exhibited in the building and on the grounds. The shop and restaurant with terrace provide your visit, professionally or personally, to Classic Park with new experiences every time. Business events are very important for the exploitation of Classic Park. A team of event business professionals make the impossible possible for groups from 20 to 5,000 guests. 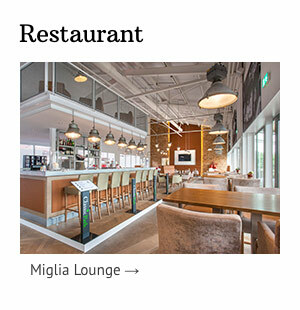 Our event spaces Two Tone, Drive Through and Miglia Lounge and our meeting rooms can be fitted with that very specific business look to maximize your company branding. These business activities increase Classic Parks dynamic!